I've been seeing crop damage on the farm here for months, yesterday I found a monster deer. A big shaggy beast looked to be taller than me. It was sitting in the sun against the base of a rock, the compressed grass from it's body was about 1.5m long. I know very little about deer, but this thing was huge, and as there are a few wapiti farms not too far away I suspect this thing could be a feral (ex-farm or escapee) wapiti. No ear tags or marks I could see. Any other deer get this big? It was amongst some of my young trees but there seems to be very little damage to the trees, mostly it seems to have been eating grass. I didn't get a good look at it, what are the defining characteristics I need to look for? If it is a wapiti, is it good eating? I farm Waps and Elk. If it is a Bull it will have antlers in velvet now. If it is a cow it could easily weigh 260 - 280 kg live weight which is bigger than any feral Red stag that you are likely to see. Shaggy - well it's winter coat will be shedding off. Waps have an under-down that reds don't have this binds the coat and makes it come off in clumps. It will have a Nait RFID button ear tag so do not shoot it. rump patch on waps will be up over the bum...reds not so much.... waps more brown than red. and yes they taste great and the amount of meat is mind blowing. you will see a big plastic tag same as in cattle but as for a nait button....not so much...if its on the deck and you THEN discover an earing of some discription....whip out pocket knife and get rid of it quick smart....its on land you are legally allowed to hunt....not identifiable as belonging to someone else,so in my eyes its fair game. let me put it to you another way...if you saw a black pig in hay paddock would you shoot it???? but the neighbours have black pigs too.....yeah nah its fair game. what if one of the goats eating your trees had a plastic tag???? @Moa Hunter. How do you differentiate between "waps" and "elk". I thought it was a different name (Indigenous vs non) for the same animal? So if your dog escapes and run to the nearby neighbourg , is it alright for him to shoot it? 7mmsaum, veitnamcam, 199p and 4 others like this. if its worrying stock yes it is....... and a dog is a hell of a lot different to a deer. the neighbours jersey bull has ability to impregnate all your fancy heifers too....but it might be better idea to grab the lads and some bikes to round it up before reaching for the mighty .27 nosler........if you do go that way make sure to post photos of projectiles terminal preformance LOL. Maca49, blake, Moa Hunter and 1 others like this. I seem to remember Wapiti was Shawnee for white deer. I always thought they were one and the same animal. Hey @Shearer wapiti is the Indian name which means literary white deer. Elk is the name given to them by settlers which is actually wrong as in Scandinavia country's where the word comes from this is a Moose. As Sideshow mentions....here's an extract from Wikipedia. 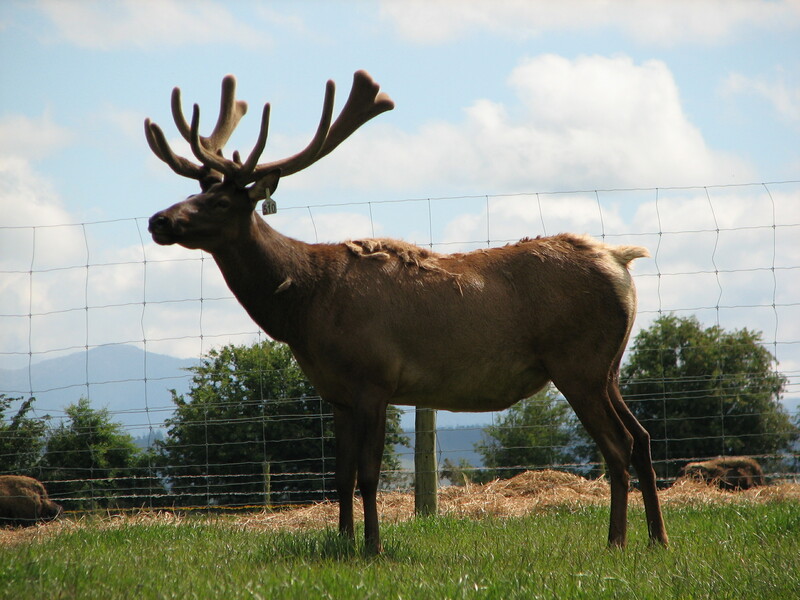 Wapiti is also the preferred name for the species in New Zealand. A farmer I knew about 20 years ago had a deer hanging around on the outside of his deer block. He rang MAF (now MPI) and they said legally he could shoot it, but if he was able to identify the owner he had to give them the option of collecting the carcass. He did, and he did, but owner said keep it. Turned out they lost a couple when they tried grazing them behind a breakfence outside their deer fenced area when feed got short.